Car shopping can be a daunting task. My husband and I have bought a few different vehicles over the last couple of years as we have outgrown our cars (family of 6) and as we upgraded our older vehicles to something more reliable–so I know how overwhelming it can feel. With all of the options on the market today, how can you decide which car or van or truck is going to be the best fit for you? One thing I have learned is not to be swayed by ‘new car fever’. Basically, don’t get swept up in the moment and buy the first thing you test out simply because you are excited to be getting a new vehicle. Don’t let your emotions run away with you and make sure to do your research before you buy! Does it really matter this day in age? Aren’t cars all about the same? I’d have to say the answer to that is no, and after meeting with a Steel Market Development Institute (SMDI) representative, I learned quite a bit about how cars are made and the materials that go into them. After hearing from SMDI vice president of the automotive market, Jody Hall, I learned a ton about new and innovative steel products and how vehicles are designed to keep you safe all while delivering top performance. It was a really informative chat, and I learned so much more about cars than I never knew before. I learned how some grades of steel are used to absorb energy or ‘crush’ in order to keep the energy of the impact away from the passengers in the car. I also learned how a vehicle is designed in a way that allows the engine to fold under the car in the event of a collision–otherwise, it would end up in your lap! 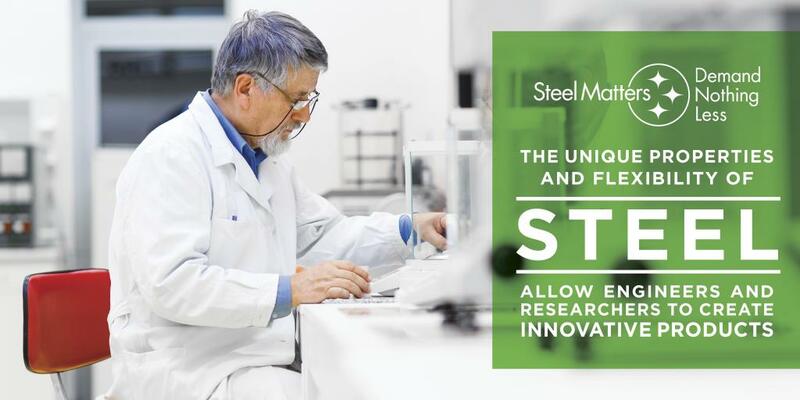 As the automotive industry innovates, steel is working hand-in-hand with automakers to protect drivers and make vehicles more fuel-efficient. I can’t wait to see what’s on display at the Chicago Auto Show! The bottom line is that it DOES matter what materials go into making your next vehicle! As fuel economy and safety standards increase so does the need for high-performance materials. The North American steel industry is meeting these requirements with advanced high-strength steel (AHSS) grades. The unique metallurgical properties and manufacturability of AHSS provide high value to the automotive industry in meeting increasingly stringent requirements by offering stronger yet lighter weight materials for increased fuel efficiency, and by engineering the steel manufacturing process to reduce emissions when steel is being created. No other material provides the complete package – performance, value, and sustainability – of steel. “The latest grades of steel, known as advanced high-strength steel (AHSS), are up to five times as strong as previous grades and enable parts up to 35 percent lighter than the parts they replace. The high elongation (ability for the steel to be formed into parts despite its stiffness) and high-strength contribute to AHSS’s ability to absorb more energy as it deforms.” –Steel Matters. There are more than 200 grades of steel, ranging in strength levels of 200 MegaPascals (MPa) to more than 1900 MPa. At the same strength level, steel is more formable than aluminum. 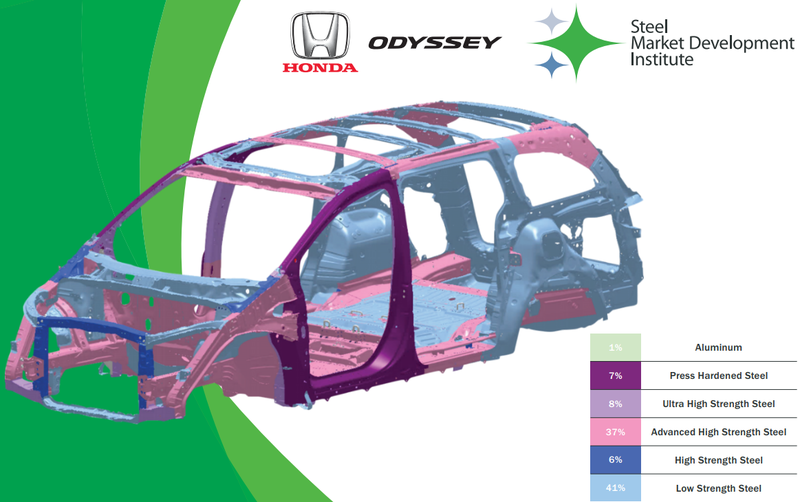 The steel and automotive industries are working together to develop new applications and efficient manufacturing processes to improve modeling predictions and vehicle performance. Steel offers the largest range of strength levels compared to other materials giving it significant advantages in product applications and in manufacturing, especially joining. Of course, there are a ton of other things to consider when buying a new car. Things like color, audio options, heated seats, a backup camera, etc. After making sure your next vehicle is equipped with the latest in high-strength steel technology, you still have a lot of choices to make. 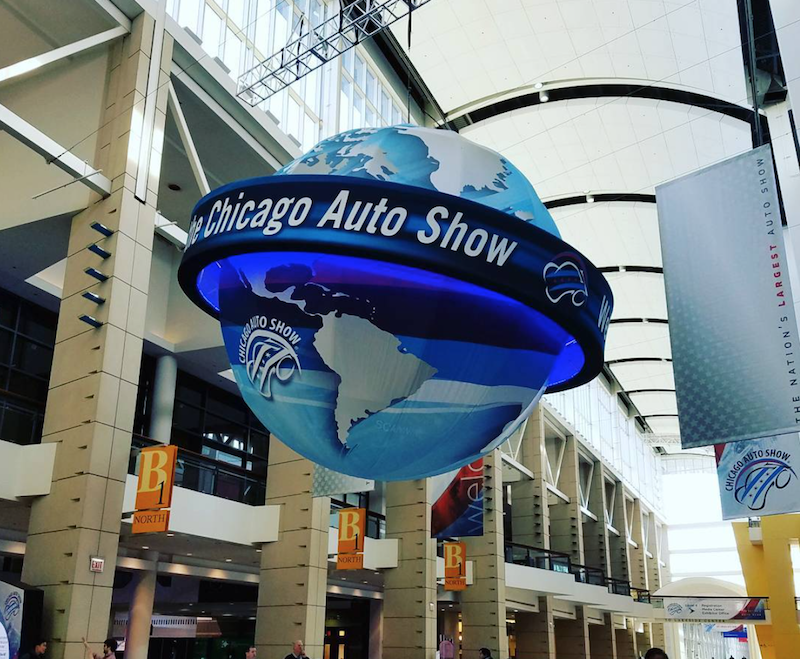 Join me Feb 8 – 9 as I check out all the new vehicles that will be on display at the Chicago Auto Show during a press preview. 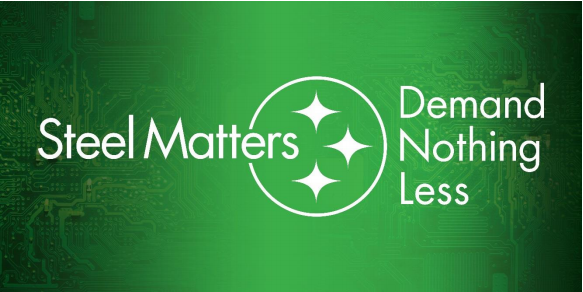 I’ll be broadcasting live to share my favorites, as well as to bring you more information on why #SteelMatters! 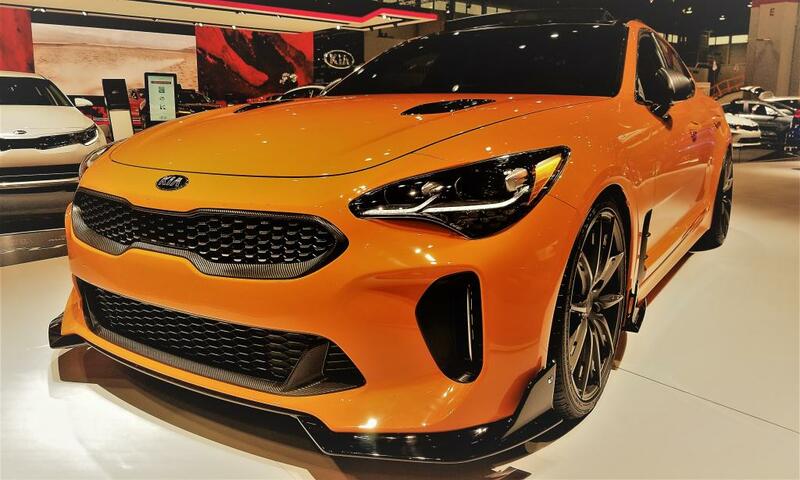 Do you want to check out the Chicago Auto Show for yourself? 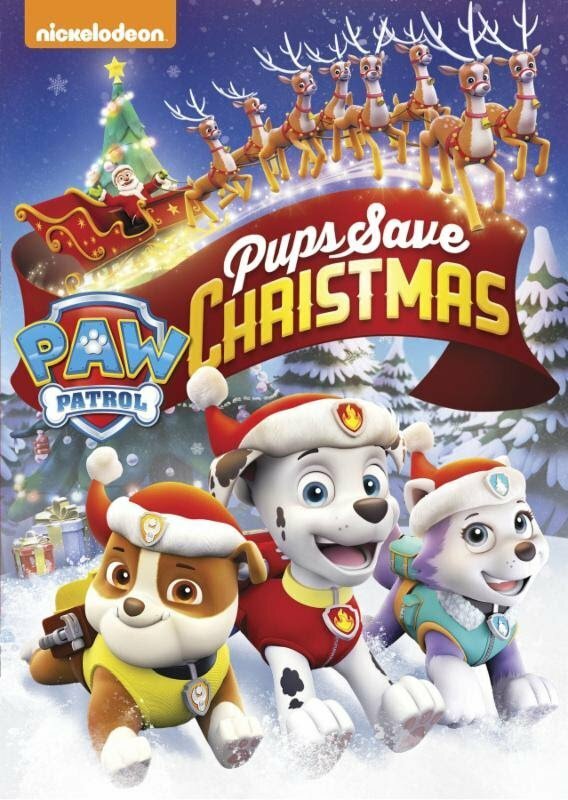 Enter below for your chance to win free passes AND a $100 Amazon Gift Card! Entries must be completed by Feb 8th, 2018. No purchase necessary; contest open only to US residents and subject to the laws of Illinois. 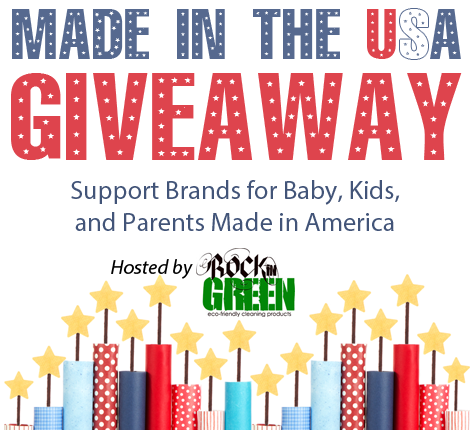 Winners will be notified by email by Feb. 10th, 2018. Winners MUST pick up tickets in person at the Chicago Auto Show, McCormick Place between January 20Feb. 10, 2018, and Feb. 19, 2018. Winners may be asked to provide identification to receive their prize. Prize value $30 per prize, not exchangeable for cash or other items. Grand prize value is $130. A total of 10 pairs of tickets will be awarded and a total of 1 grand prize will be awarded. Disclosure: This post is part of a program sponsored by the Chicago Auto Show and the Steel Market Development Institute.